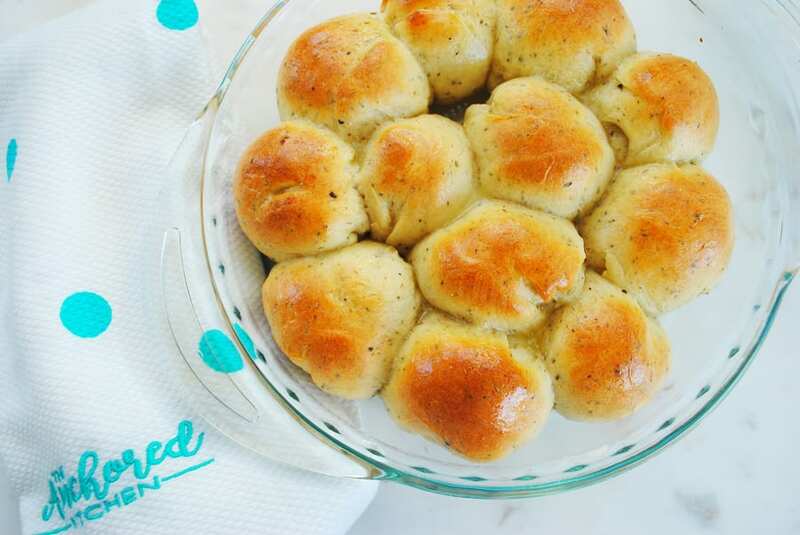 I love making dinner rolls when I feel like stepping things up a notch. 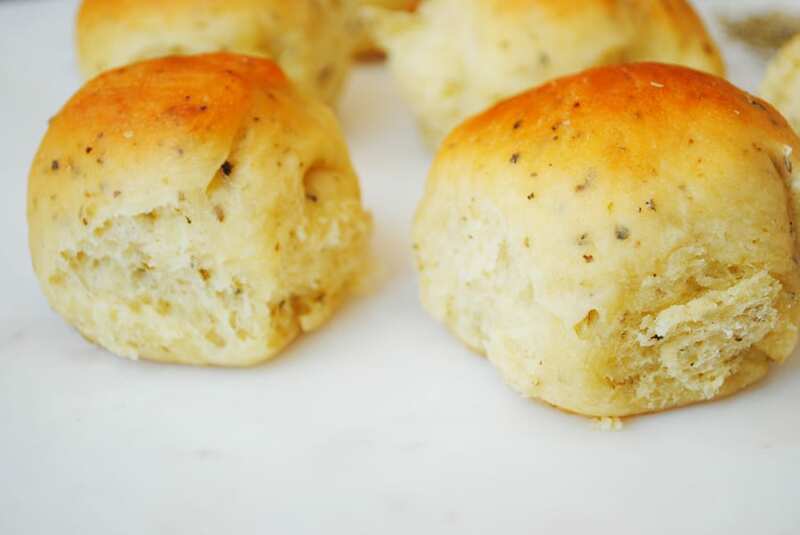 I especially love dinner rolls that can be made in under an hour and a half. It’s something I can make when I’m starting to think about dinner, not something I realize I will need hours to do. 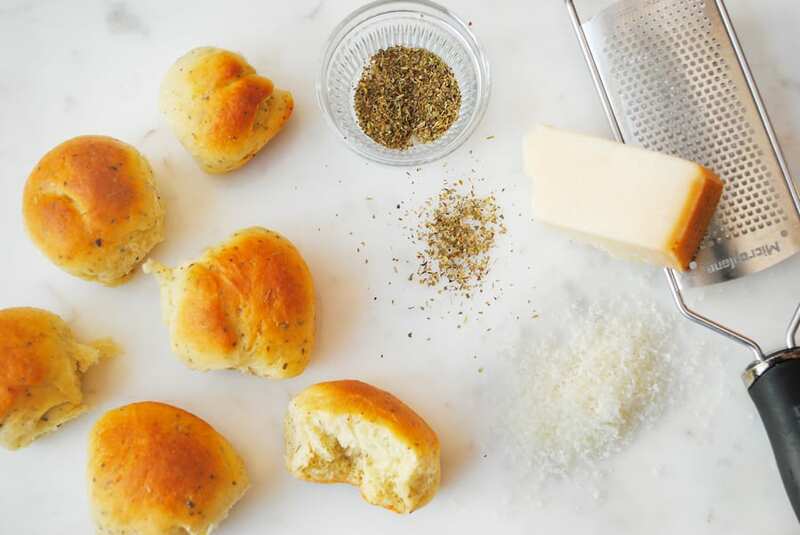 That’s what makes these Parmesan and Herb Dinner Rolls so fantastic. Not to mention that they smell incredible while baking in the oven, and taste even better than their delicious aroma. I know a lot of people shy away from yeasted recipes. I used to as well. The fear of the unknown. Until I finally did one and realized just how easy it is. Yeast should not be feared friends. 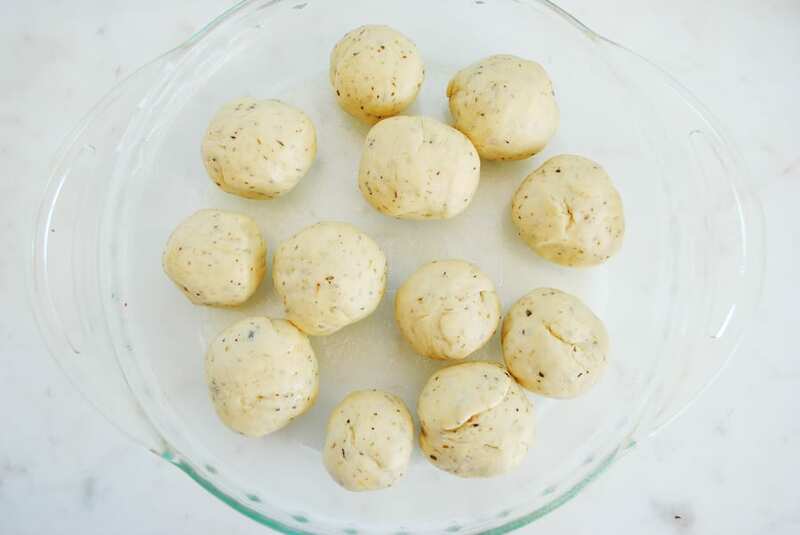 If you are new to yeasted dough this is a great recipe to start with. It doesn’t involve too much time and not much complicated mixing either. In fact if you have a stand mixer it makes the whole kneading process a complete breeze. I recommend the KitchenAid Stand Mixer. Of course if you don’t have a stand mixer, you can absolutely make these by hand. 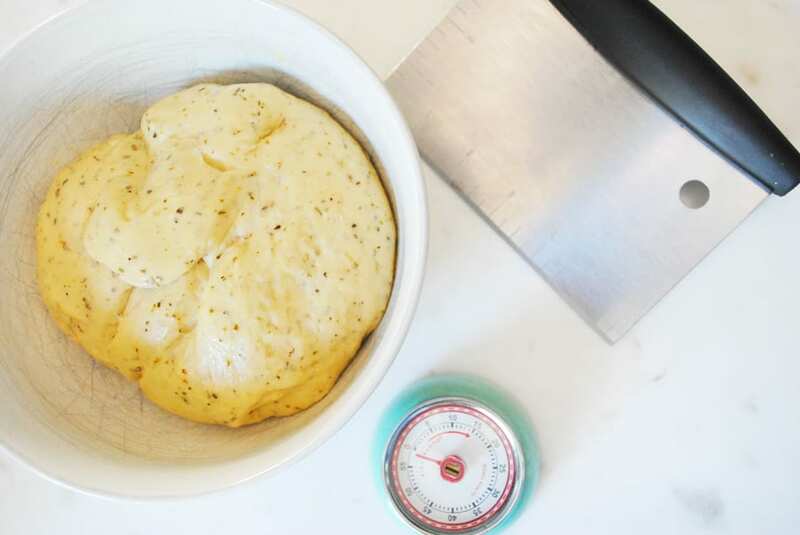 Use a spatula to mix the ingredients until they just come together and then knead the dough for about eight minutes on a lightly floured work surface. You are proofing the yeast by mixing it with warm liquids. So you don’t have to bloom it in warm water or anything like that, just put it directly in the mixing bowl with the flour. Make sure you get the right temperature 120-130 degrees, let the milk and butter cool if you need to, there is no rush. If the liquid is too warm it will kill the yeast, making your dough not rise. I just insert an instant read thermometer into the milk and butter to see if it’s warm/cool enough. If it needs to cool a bit just put it in a small bowl and pop it in the refrigerator for a few minutes at a time. That cools it down pretty fast if you need it. Warm up the 3/4 C milk with 4 tbsp unsalted butter over medium heat in a small saucepan. You want this to be between 120-130 degrees. Combine the flour, salt, and yeast in the bowl of a stand mixer (see my note ** for doing this without a stand mixer) with the dough hook attached. When the milk/butter is the right temperature pour it into the bowl and begin to mix it on low until combined. Add in the onion powder, garlic powder, Italian seasoning, Parmesan cheese, and red pepper flakes. Using a spatula pull the dough out of the mixer, and add it to a bowl lightly greased with the olive oil. Cover with a towel and rest for 10-20 minutes. If the day is warm 10 minutes should be fine but on a cooler day I sometimes need 20 minutes. You want the dough to have grown a bit. Roll the dough out into a uniform log shape. Cut the dough in half with a large knife or bench scraper. Then cut each half into 6 pieces. For a total of 12 pieces. Roll the pieces into balls and place them into a greased (I use cooking spray) 8-9" round pie dish, I use glass. 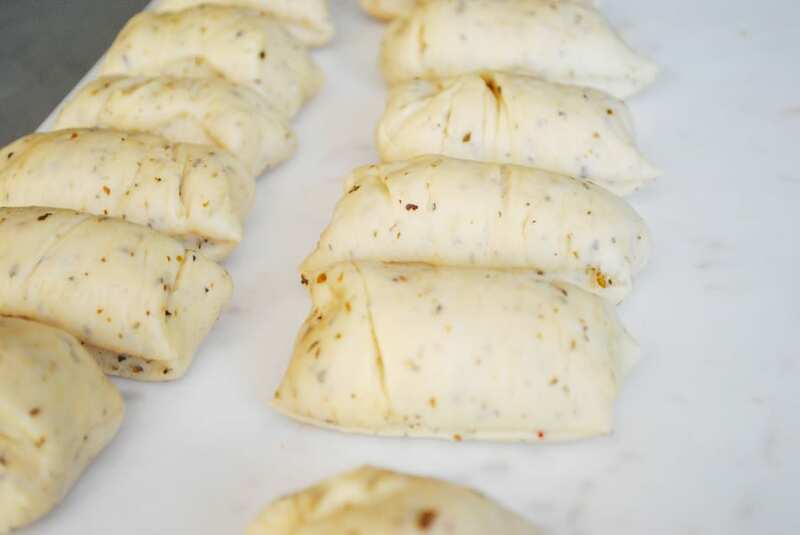 Cover with a towel and allow to rise in a warm place for thirty minutes. After thirty minutes uncover the rolls, and bake them for 20-25 minutes. After they are golden brown, pull them out of the oven and brush them with the remaining 2 tbsp unsalted butter that has been melted in the microwave for 30 seconds. After seeing these I have an overwhelming desire to make spaghetti. I feel like I need an Italian dinner to go with these! 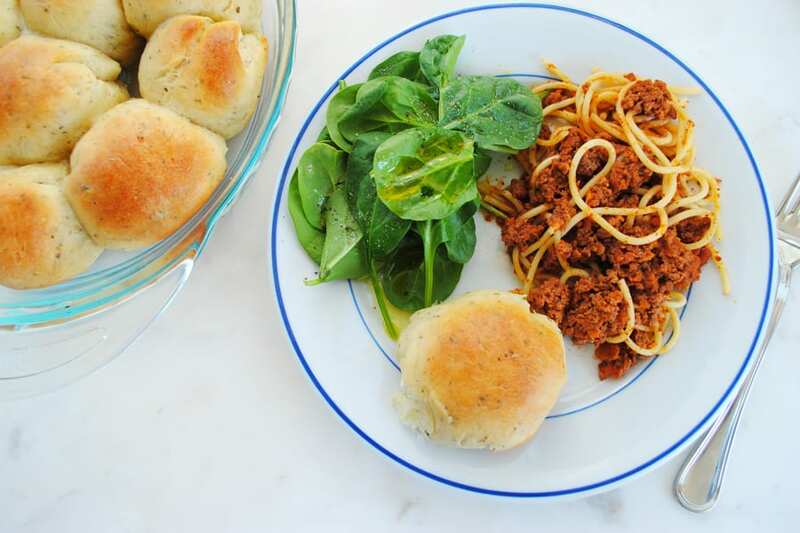 An Italian Dinner is PERFECT with these! Those rolls look amazing! I LOVE parmesan so I'll definitely be trying these!